Last update laid out a clear roadmap: The preferred count expected lower prices (below 2670) unless bulls could sustain the market above the red trend line. 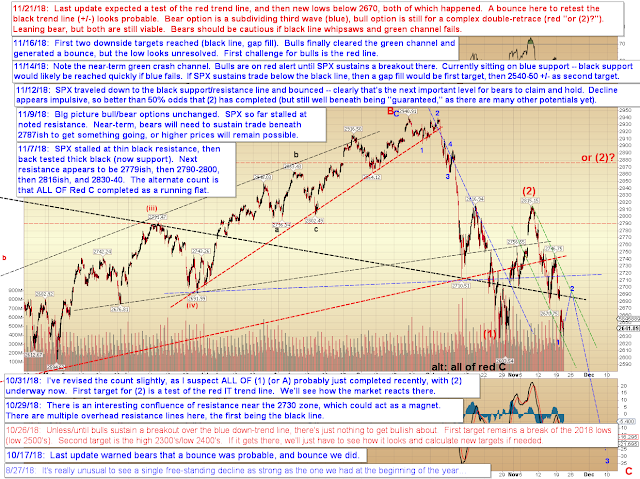 SPX obediently rallied to the red trendline, stalled, then turned and broke the target level. The most bearish option is shown in blue on the chart above, and suggests the possibility there's a very nasty third wave decline on deck after a short-term bounce completes. But let's not ignore the bull case entirely, because it's never wise to ignore real potentials simply because they countermand your primary thesis. 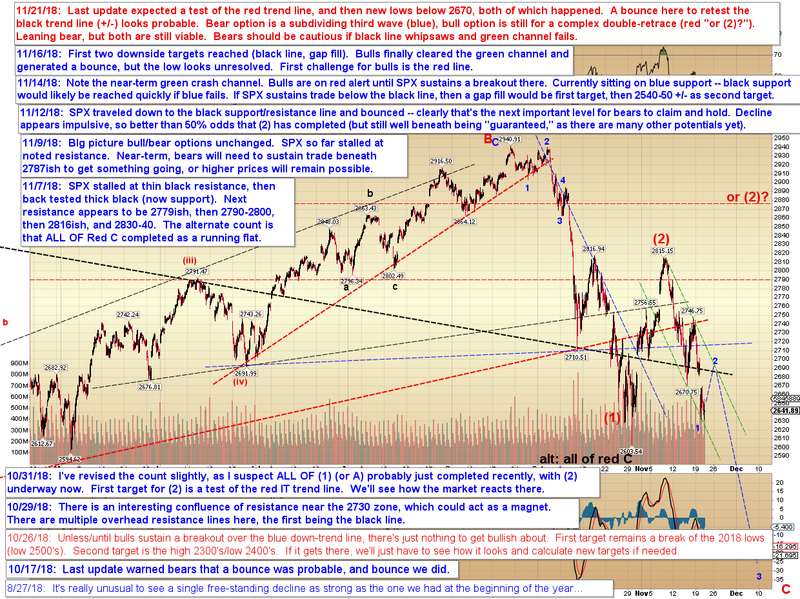 In conclusion, the market performed as projected in the last update, and bears may be on the cusp of giving everyone a major scare in the upcoming week. 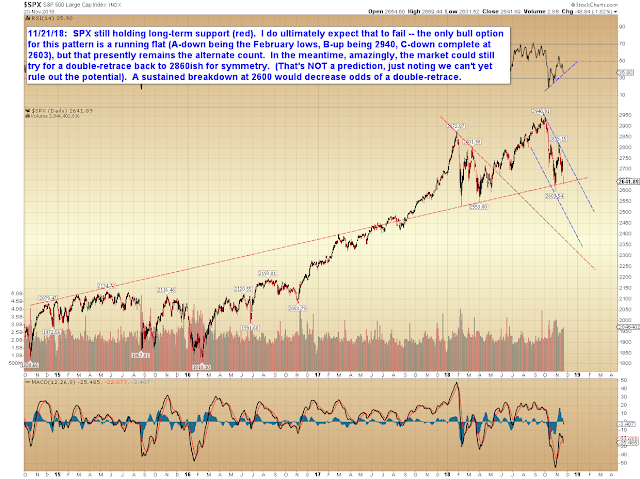 I'm leaning toward a fairly direct bearish resolution (after a short-term bounce). That said, we can't ignore the fact that long-term support is still holding for the moment, so if bulls start breaking their challenge levels, we may have to re-weigh the probabilities. Trade safe.